Ok, we all know that when we pack fresh fruit for snacks while camping, there are times that some of it will begin to go bad before it is used. Well, you can either waste the food or create a recipe that utilizes ripe fruit. In this case, I am talking about bananas. 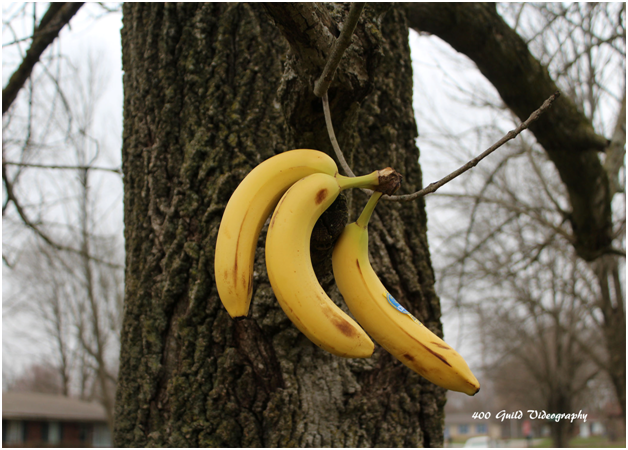 Now, you do not have to wait until your banana peels turn dark brown and the fruit is squishy. Any banana will do but I have found this is a great recipe to keep back for later on in the camping trip to use up those ripe bananas. Prepare a 10 inch Dutch oven by lining it with parchment paper. Place a grilling rack above the fire. Put a small pan on the grilling rack and add butter. Melt. Once the butter is melted, pour on top of the parchment paper. Add packed dark brown sugar to the melted butter. Open the canned pineapple and drain juice into another container. Place pineapple rings in the bottom of the 10 inch Dutch oven in a single layer. Top the pineapple layer with flaked, sweetened coconut. In another bowl, combine flour, granulated sugar, baking powder, baking soda, and salt. Mix. Smash the banana and place in a small bowl. Measure ½ cup of the pineapple juice and add to the banana. Add egg to mixture in step 11. Beat to incorporate. Make a well in the flour mixture from step 9. Pour the liquid mixture from step 12 into this well and stir well. Pour this mixture over the coconut/pineapple layer in the 10 inch Dutch oven. Place the lid on the Dutch oven and move it to a heat resistant surface. Arrange 10 prepared coals in a circle on the heat resistant surface. Put the 10 inch Dutch oven on the circle of coals. Cover the lid with 18 prepared coals. Cook for 25 minutes. After this time period has passed, gently remove the lid and test the doneness with a toothpick. If it comes out clean then it is done. On the other hand, if the toothpick is covered with dough, place the lid back on and cook for another 10 minutes. Once done, remove the coals from the lid and move the Dutch oven from the coals. Allow the cake to sit 15 minutes before serving.